Wow. What a trip! The whole arena was PACKED full. It was a RECORD of 60,000+ people! The seats were great ANYWHERE in the house! These were our seats! Can you see the fans, the excitement, the lights!? 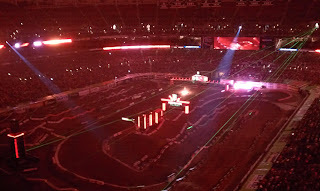 My three year old LOVED the lights, fire stunts and the bikes! We have never attended before, but now know that boys will be boys! 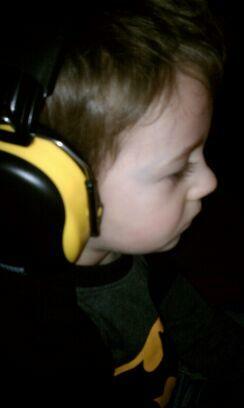 As a mom, I made sure we were prepared for the evening with some bright yellow noise gear. Check out my little man enjoying the show! 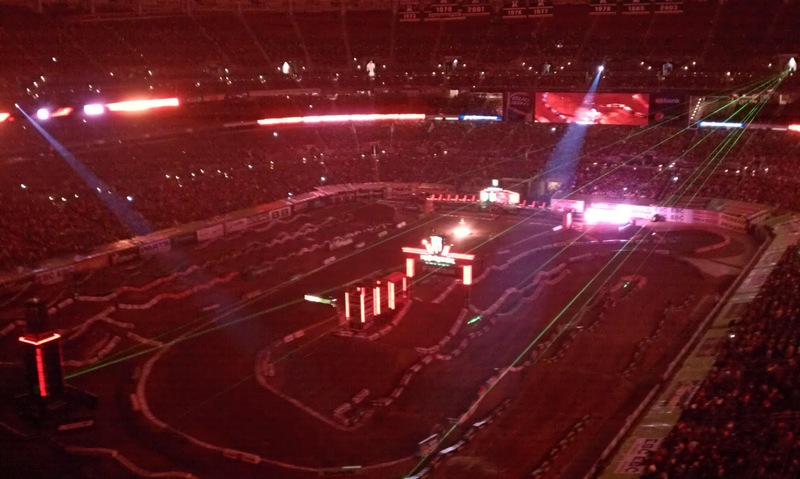 If you get a chance to go to the AMA Supercross, you won't want to miss the excitement.